Each year there are more than 360,000 home fires resulting in over 2500 deaths and 13,000 injuries. Home fire prevention is essential to reducing these numbers and saving over 7 billion dollars a year in property damage. 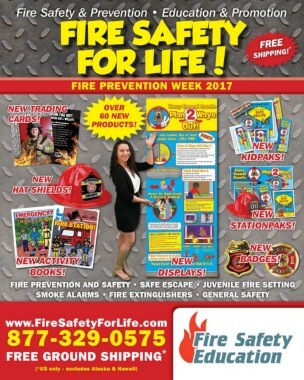 This presentation display, clearly written and with vibrant design, engages and educates your audience on what they can do to prevent a home fire tragedy. The display begins with statistics related to home fires, including where most home fires start. The next section of the display addresses the importance of installing and properly maintaining smoke alarms on every level of the home. The following sections of the display present prevention tips that focus on specific areas of concern around the home including: kitchen, heating, electrical and smoking safety. 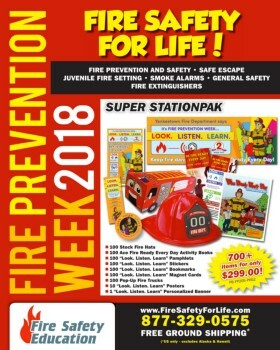 The final section includes general fire safety tips to keep everyone safe.